Asher Dell Farm offers multiple herding trial every year. 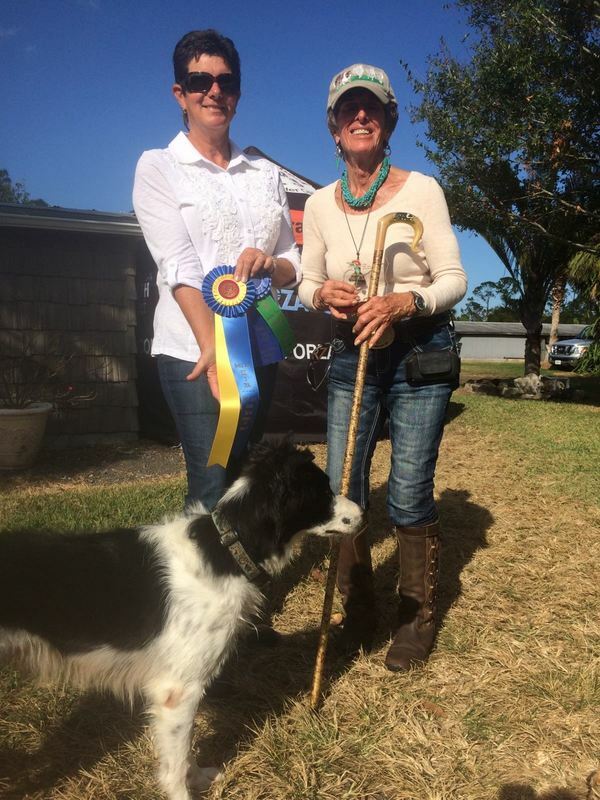 Central Florida Herding Club hosted the state of Florida's first AKC Farm Dog Certification Test May 13, with maximum entries. We want to thank all of our awesome participants who came from all over the state! A special thanks to Ron Brautigam and Lind Bara-Weaver who did a phenomenal job judging this exciting event! Also, we especially want to thank Judith Kelly for allowing CFHC to pioneer a brand new AKC herding program on her property, Asher-Dell Farm!! USBCHA: Asher Dell Farm SDT- February 20th- 22nd. We will be having 2 Open and 2 Nursery trials as well as an Open ranch, Pro-novice, and novice class. Entry opens December 15th and closes February 10th. Premium list is out on Dog Trial Entry. Judge will be Gethin Jones and Arwyn Davies from Wales! Clinics: Asher Dell Farm is proud to announce that we will be having Gethin Jones and Arwyn Davies coming over from Wales to have a 2 day clinic. Gethin's will be on the 18th and Arywn's will be on the 19th. Clinic spots are $150 for 2- 30 min sessions. This clinic is open to all dog levels from Novice to Open handlers. Auditing is $45 for both days or $25 per day. Lunch will be provided. Entry will be on Dog Trial Entry.